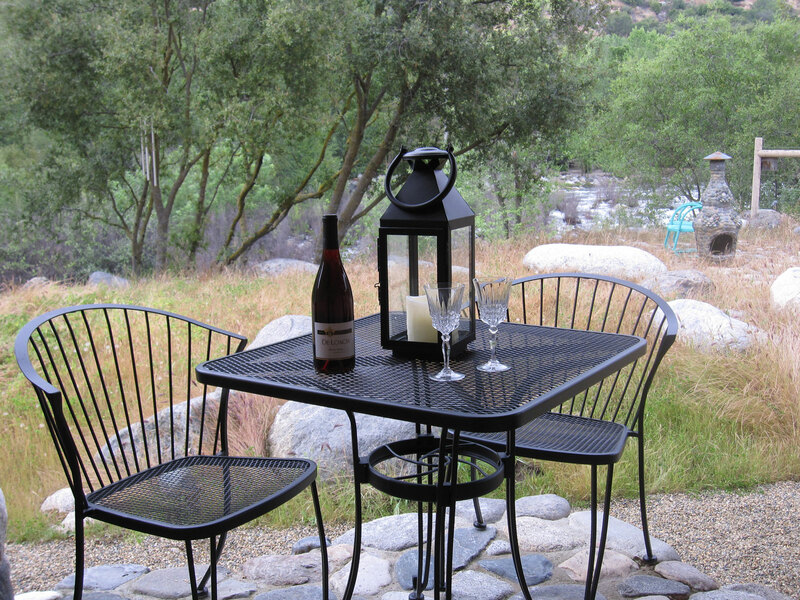 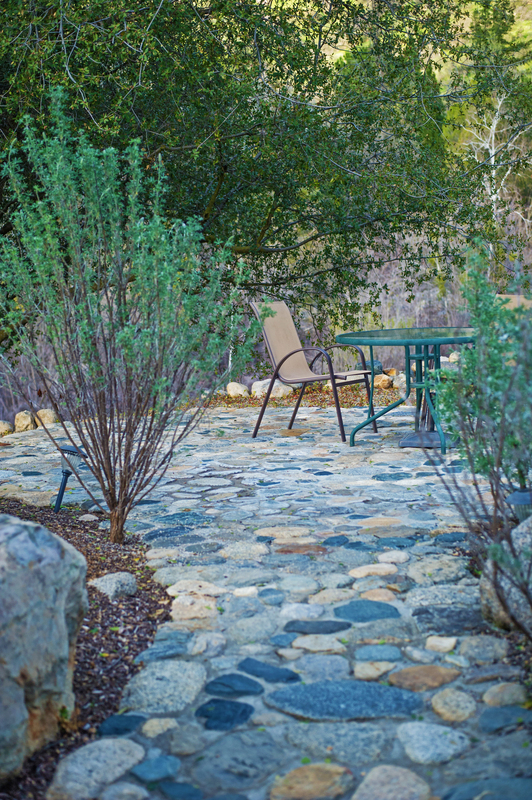 Whether it is on your own private balcony or patio, by the fire pit under the stars, off the outdoor kitchen or along the Kaweah River, there is ample outdoor seating space for your relaxing retreat. 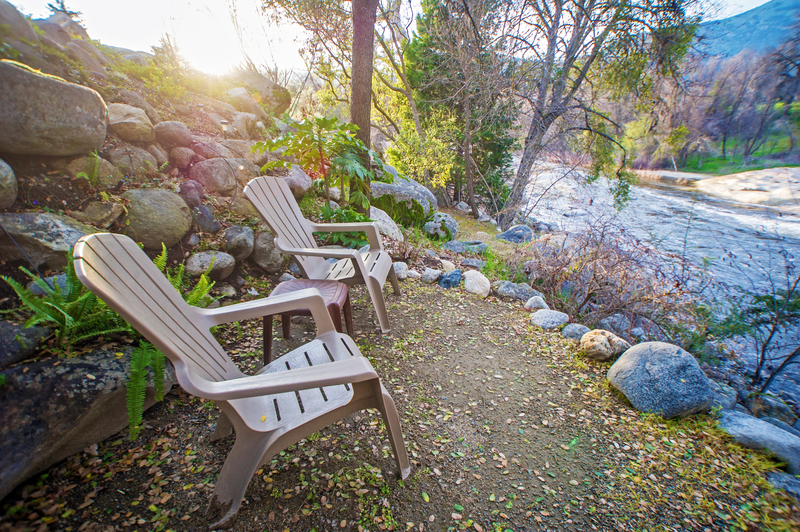 Whether you want to stay close to your private suite, or wander out a bit further into the grounds, there are relaxing, secluded and gorgeous spots to sit and enjoy the scenery at The River Jewel. 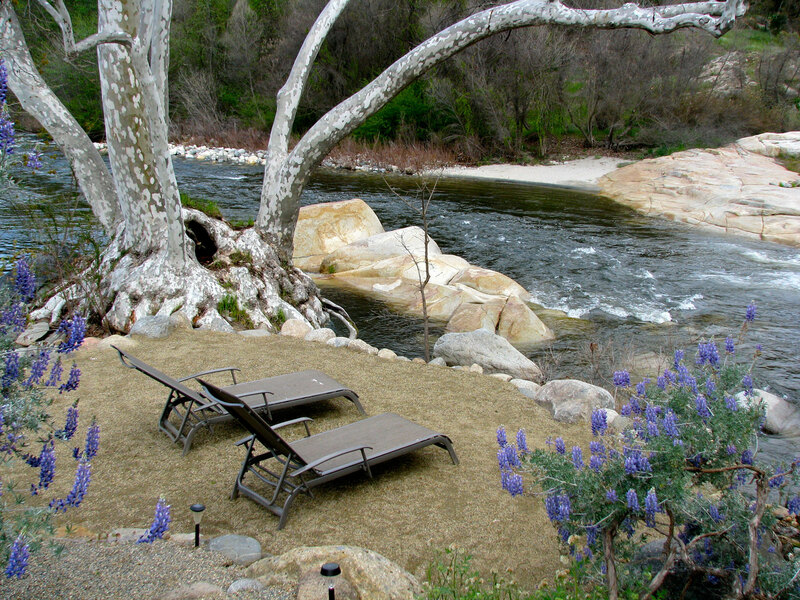 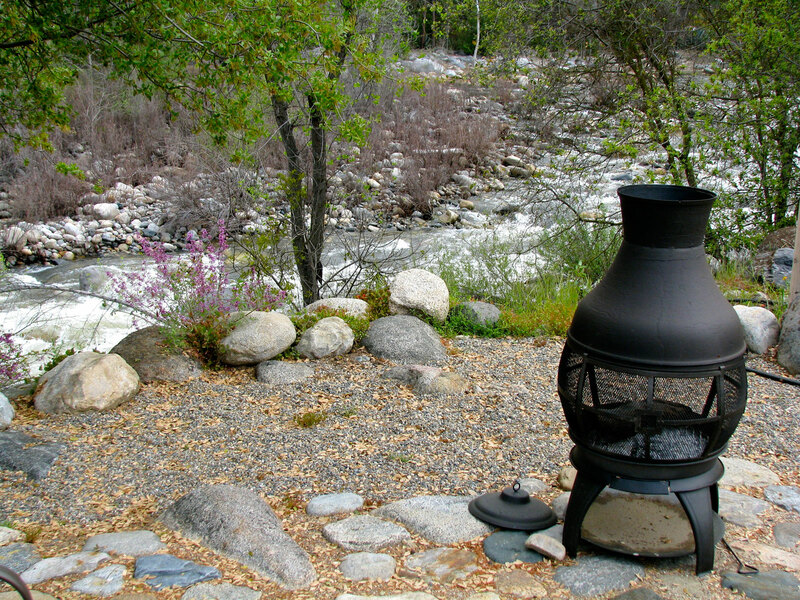 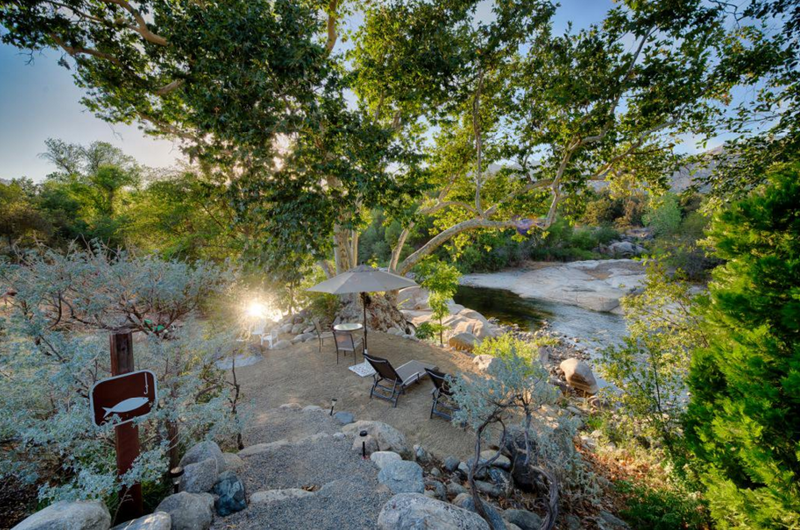 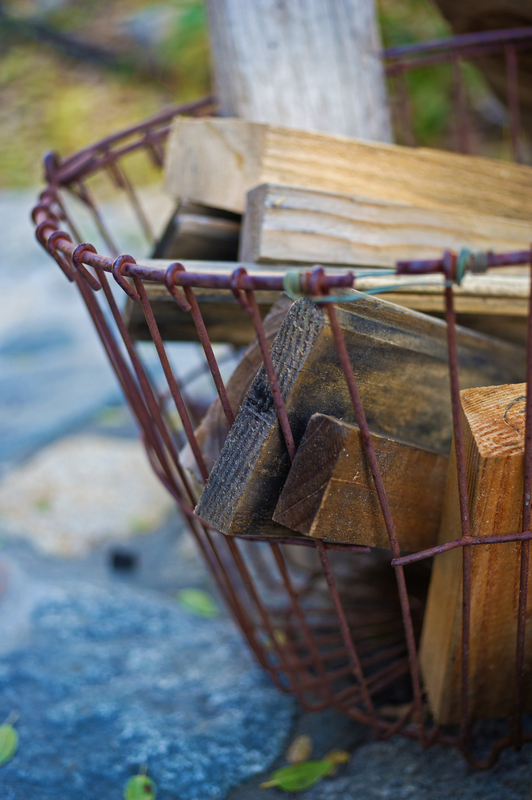 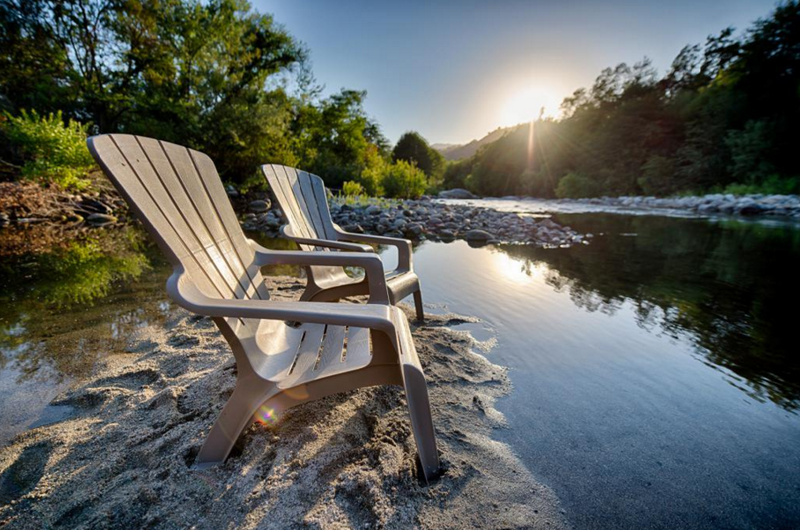 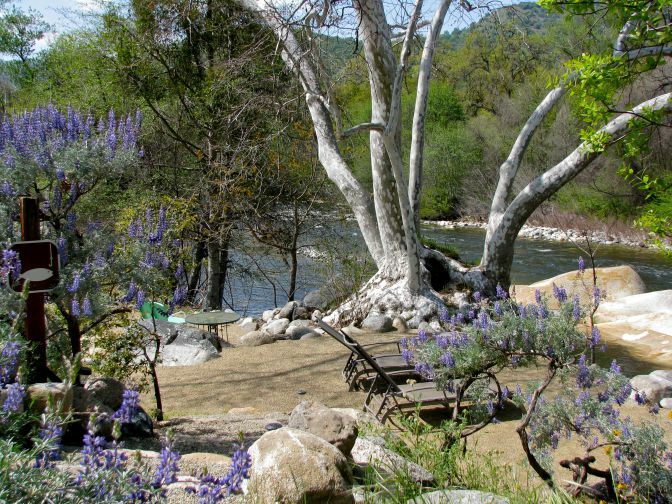 Gather around the firepit (complimentary wood provided) and enjoy an elevated view of the Kaweah River through the surrounding trees. 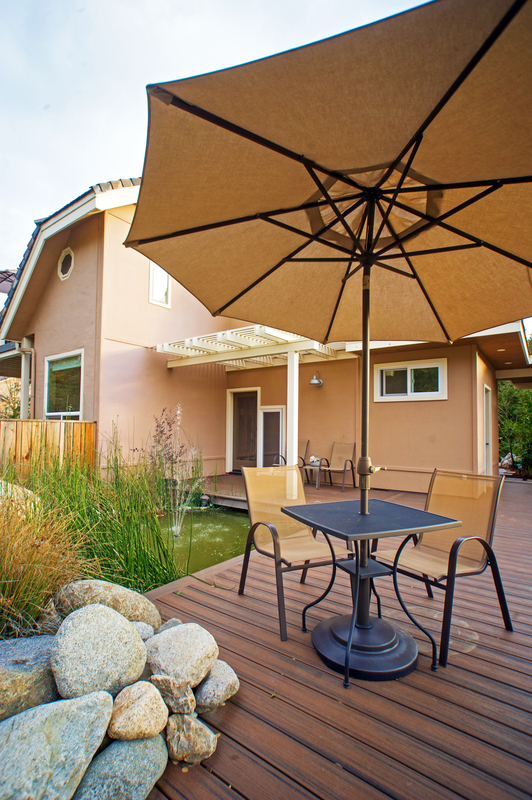 Grab a reclining lounge chair and soak up some sun on the outdoor patio and read a book by the tinkling patio fountains. 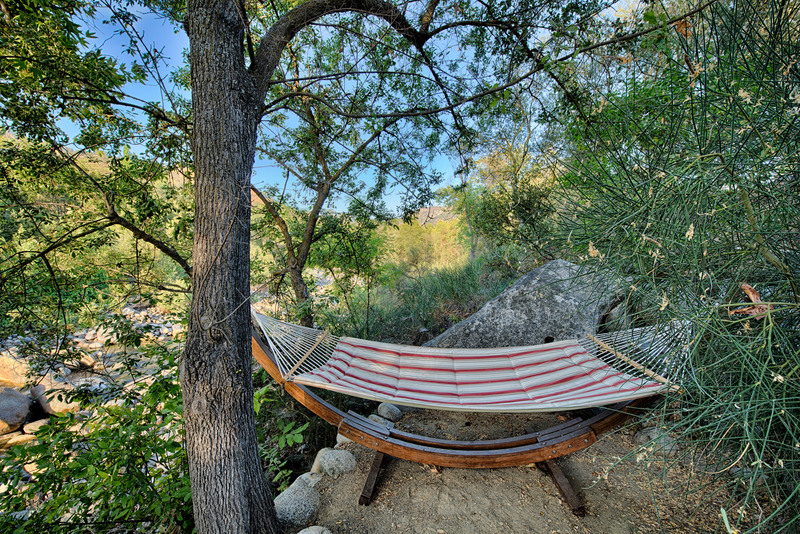 Or wander down gently winding paths toward the banks of the river, where multiple spots by the water provide ample seating and even a hammock to laze the day in. 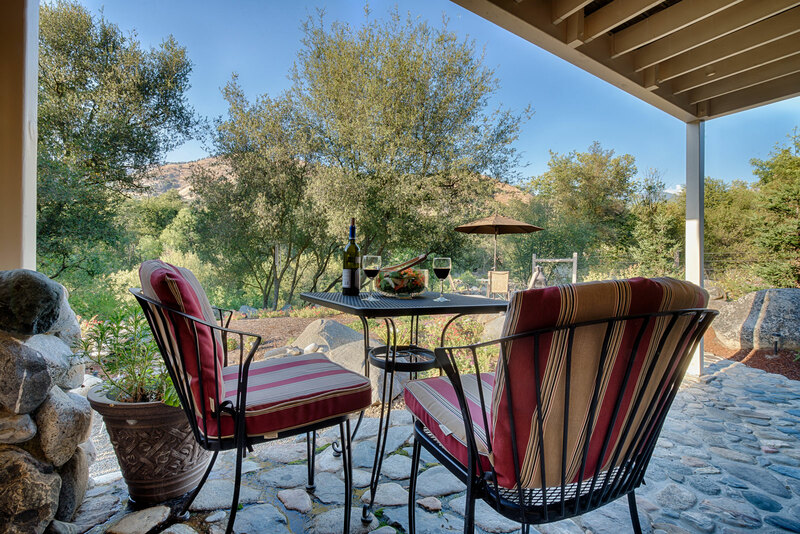 Wherever you decide to gather or relax, you can be assured the surroundings are comfortable, cozy and unrivaled.